Craft and history enthusiasts will delight over one of the finest festivals in the state of Pennsylvania. 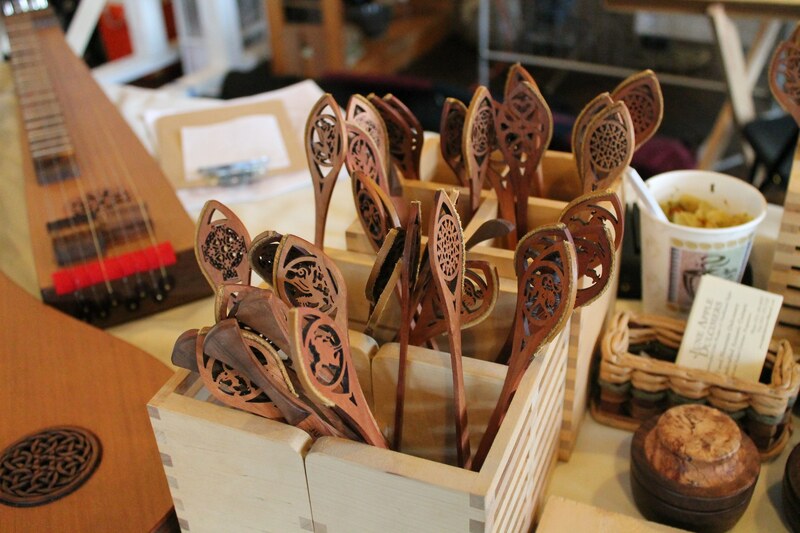 With an exceptional array of quality handcrafted items, paintings, baskets, wood crafted furniture, quilts, and more, the 57th Annual Springs Folk Festival is the perfect event in which to experience the culture of the area! Children and adults alike will enjoy themselves during this fantastic festival. When you come to stay with us at Lake Pointe Inn, you will have the opportunity to join in on all the activities that the Springs Folk Festival offers. Here are a few things to know before visiting the Springs Folk Festival. Mark your calendars for one of the best festivals in the state of Pennsylvania. The Springs Folk Festival , a two-day event, is packed full of women and men performing activities of day-to-day life from generations pasted. Demonstrations will make the two days, October 3rd and 4th, a unique adventure. As guests wander through the festival, they will observe women preparing their daily bread and clothing for the family. Also, visitors will witness men toiling with splitting rails for fences, boiling down sugar water to make sweet maple syrup, and hand flailing the grain just harvested. Sounds of the old steam engines of old time hay balers and a steam powered shingle maker, fill the air, making the experience even more realistic. Don’t miss out on the hayrides that the festival offers. You are sure to have a blast riding a top of the hay wagon through the nature trails surrounding the Springs Folk Festival! As you watch the women make the bread, satisfy your hunger with a piece of the fresh baked bread from the outdoor stone bake oven. Pile the warm bread with homemade butter and fresh apple butter. With doughnuts that will melt in your mouth and sweet funnel cakes, you are sure to find something that tempts your palate. For a light lunch, grab a bowl of bean soup or a fresh sandwich from one of the stands at the Spring Folk Festival. The Traditional PA Dutch meal of country sausage, fried potatoes, dried corn, and all the trimmings is to die for! You can enjoy this delicious meal cafeteria-style or family all-you-can-eat fashion at the Festival. For all the music lovers out there, there is something for you at this exciting event. Blue grass groups, gospel music and children singing, fill the enclosed program building throughout the festival! One of the highlights at the Springs Folk Festival is the Mountain Anthems group! There are over 100 artisans showing off their crafts of paintings, baskets, wood crafted furniture, quilts and more during this amazing event. The entry fee is $5 for adults and $2 for children from the age of 6 to 18. The festival also offers free parking! All the festivities begin at 9 A.M. and finish at 5 P.M. When planning your 57th Annual Springs Folk Festival itinerary, don’t forget to book your stay at our local McHenry bed and breakfast. Just minutes away from the Festival, the Lake Pointe Inn provides luxurious accommodations. Pick one of our elegant guest rooms and experience the best of the area, or just come to relax in your room after a long day of Festival activities. In addition, your stay includes a tasty breakfast each morning. Come to Lake Pointe Inn and have the ultimate Deep Creek Lake experience. We can’t wait to see you!